Have a build a bear activity – check out the range on www.partyteddies.co.uk – 10 small kits cost just £69.99 and will prove a hit with all children – all kits are strictly no sew. Have a teddy bear treasure hunt – cut out pictures of teddies from magazines, old cards or download from the internet and hide around the garden or house. Hide enough for each child to find at least 2. How about a pin the nose on Teddy game. If you are artistic you can draw a teddy or checkout amazon for games to buy. How about a teddy race. Each child lines up and places teddy between their knees, they then have to try to run along a course – winner gets a small prize. A variation on an a game of what’s the time Mr wolf – What’s the time Mr Teddy. Use Teddy Bears picnic music for a game of pass the parcel. 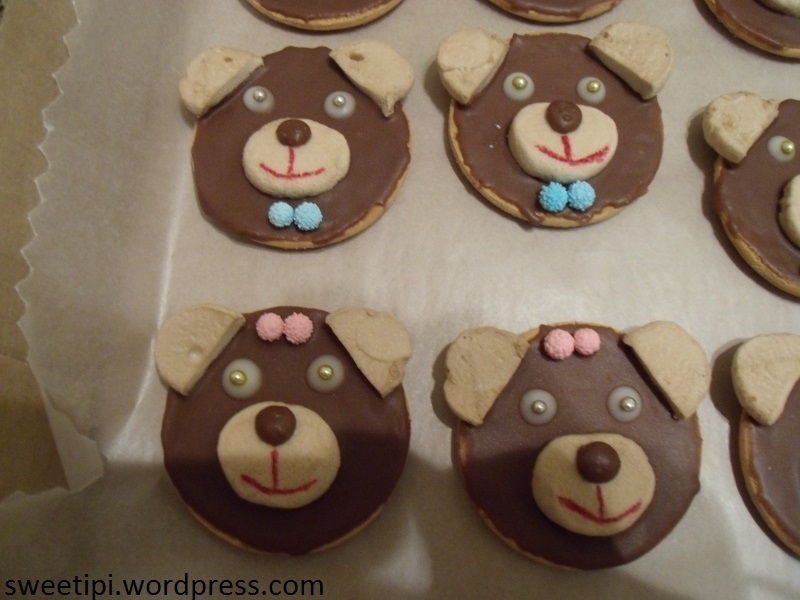 Decorate teddy shaped biscuits – before the party buy a teddy bear cutter and bake some bear biscuits then on party day decorate with icing and other treats to eat at the picnic. Use your teddy cutter to make some teddy shaped sandwiches . Or make teddy faces on the sandwiches 10. 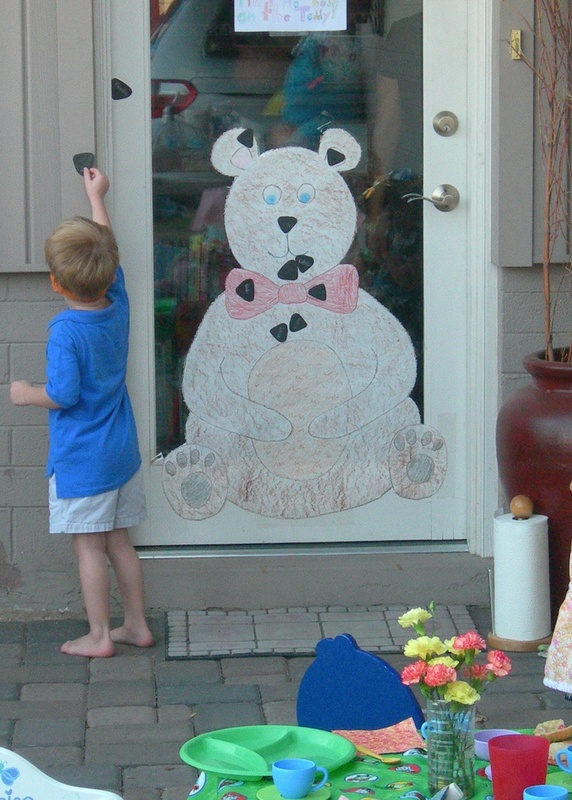 Make some teddy footprints leading up to your front door to welcome children to the party.